I want to introduce you to a fairly new website- Style Says. It was actually introduced to me via a fellow blogger friend- Emily, who is a part of the Style Says team. The site is structured to have the user not only shop, but to also see the garments that have been styled on real people (and their favorite bloggers from all over the world) with their own sense of creative style. The site was founded by SJ and MJ and has been around now for about a year, though having just relaunched in late July 2013. 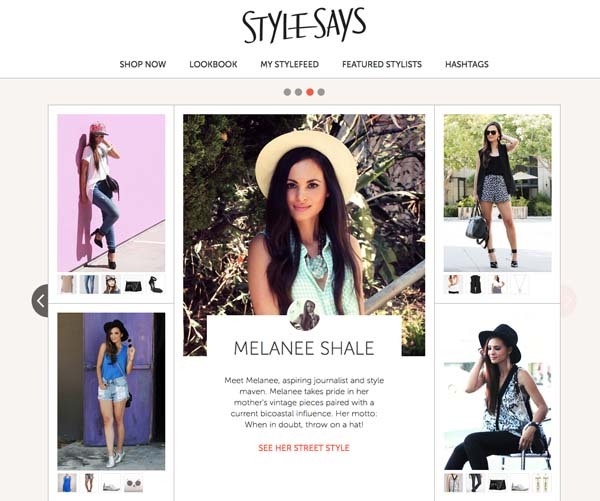 “StyleSays’ main objective is to allow people to shop with who inspires them. 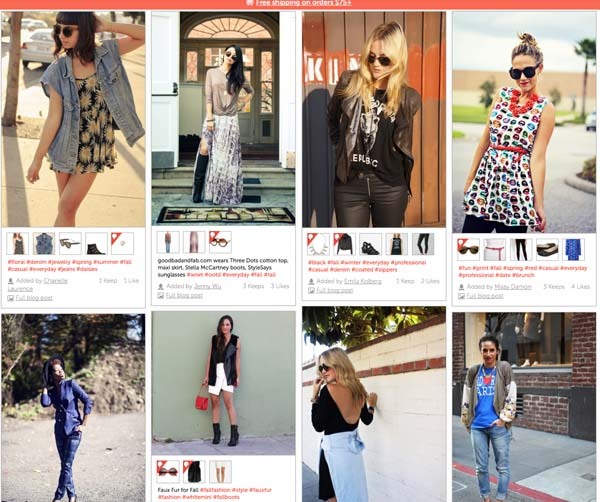 There are so many blogs and super fashionistas out there in this world and we are constantly being inspired by others. 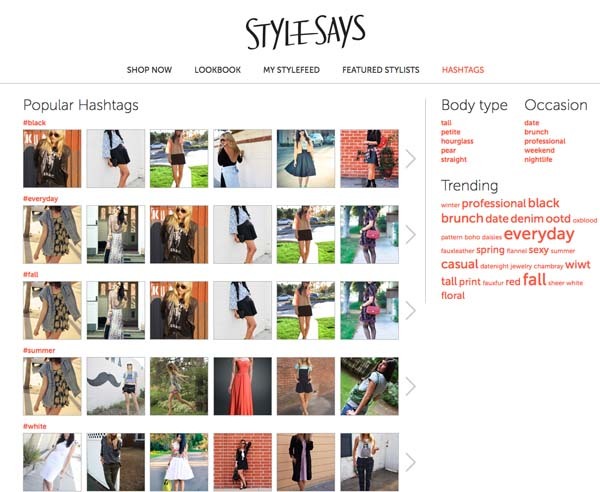 With StyleSays, we’ve created a community that allows people to share their style with an audience that appreciate it. You’re finally able to shop those looks that you love without Google searching for 18 hundred years,” Emily explained. So along with being involved in a community of fashionistas (think of it as Facebook in regards to an e-commerce site), you can shop young and emerging brands as well. 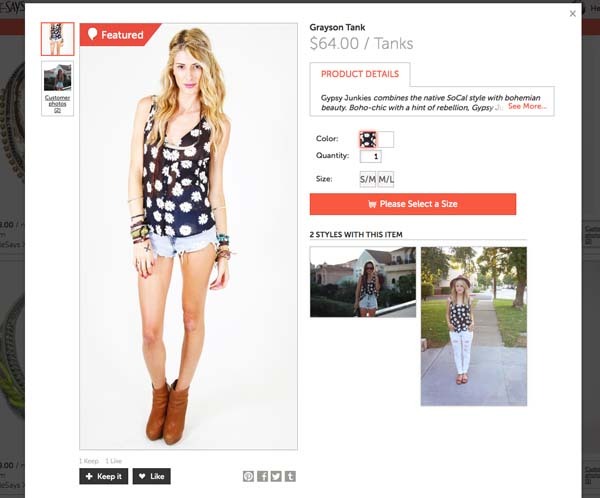 Style Says is incredibly easy to navigate, featuring: SHOP NOW, LOOKBOOK (where you can see not only the products styled on real girls and bloggers, but you can also get inspired by their general style), MY STYLEFEED (which is a feed with all the recent styles of the “featured stylists” you want to follow) and HASHTAGS (where you can easily shop for looks under a specific hashtag, body type, occasion or trending). 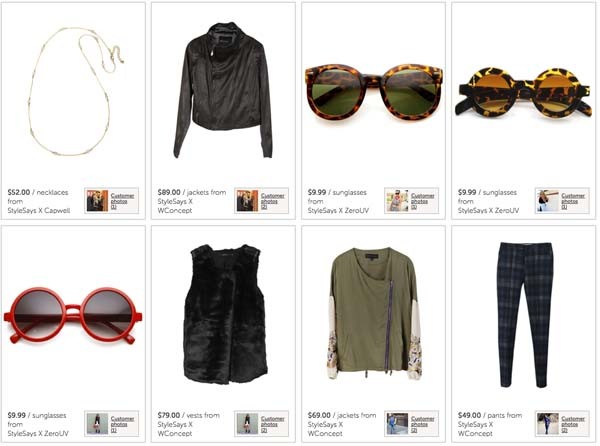 Some current brands that are available to shop are: Gypsy Junkies (one of my fave LA brands), Capwell, Zero UV (I bought their “Thick Round Blogger Sunglasses” in black and LOVE them! Great quality for only $10! ), W Concept, SiHo and Greylin. Prices vary, but won’t put a dent in your wallet. Style Says is definitely worth checking out, it’s not only a great way to get inspired and shop the looks, but also a way to become part of an international fashion community.